Hollywood Land is home to lots of stars, and during the holiday season, the most famous celebrity of all can be found swooping by the end of the main drag. 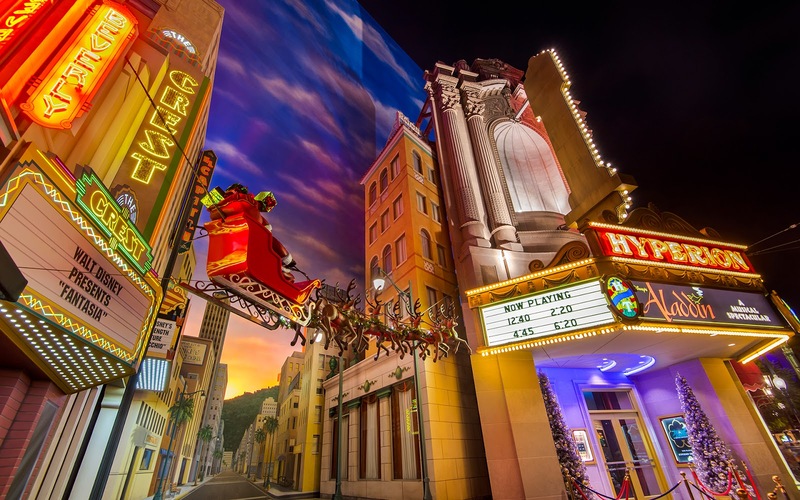 Yes, over by Hyperion Theater, Santa Claus can be seen flying by, with his eight reindeer leading the way. It's a quirky and fun gesture to Christmas time, and it's especially lovely at night, when the glow of neon contribute to the glitzy affair. Hopefully, all the actors and actresses have been good! Santa makes a cameo over at the end of Hollywood Boulevard!